We sat down with Emilie from our Corsican product team, who hails from Calvi on the island of Corsica, to get her local insight into the beautiful island. 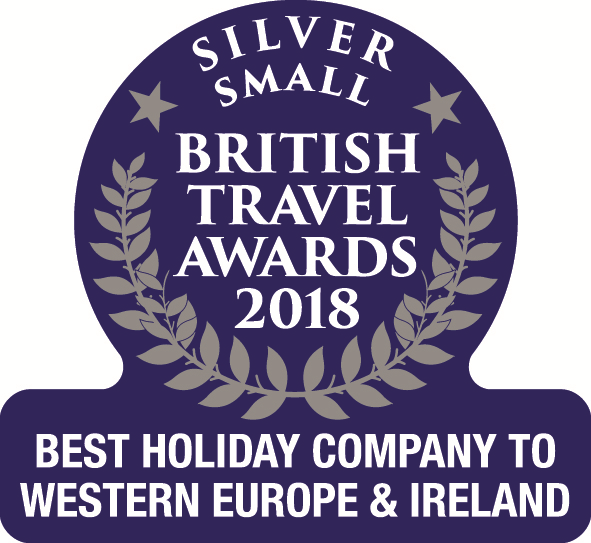 Emilie recently started working on a placement in the Commercial Department of Corsican Places, and we thought her local knowledge and expertise would be ideal for discovering some top tips to share with holidaymakers visiting Corsica. 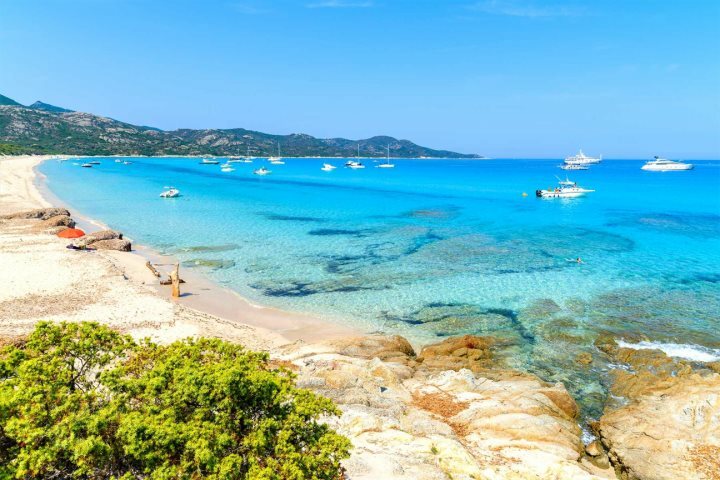 Emilie hails from Calvi, one of the most popular tourist destinations in Corsica, but there are always some hidden gems to be uncovered, even in the most well-known destinations. I thought it would be a fun idea to sit down with Emilie and have a chat about her home and her experiences growing up in Corsica, as well as ask her for some of her top tips when it comes to seeking out the best restaurant in Calvi and the best outdoor activities to enjoy in the area, as well as many other things. This is a local's guide to Corsica. Tell us a little bit about yourself. Where in Corsica are you from and what do you enjoy doing in your spare time where you live? Since I was born I have lived in the city of Calvi in Haute Corse, but during my childhood I spent time with family in Galeria, the home village of my mother, where we had a family home. Since childhood I love to walk in nature, walking on the paths near rivers or climbing mountains. And recently I have been fortunate enough to acquire a horse and I spend most of my days off on a walk with a friend on the various trails around Calvi. What is your favourite restaurant in Calvi and in Corsica as a whole? So my two favourite restaurants in Calvi are the Piazzetta with its very friendly welcome, a good atmosphere and good food that will fill your whole plate. So far I’ve never been disappointed by the dishes I ordered on the menu and I highly recommend this restaurant for its very good value. Secondly, I would say U Casanu which is a small restaurant where you can enjoy the quiet and calm of a family atmosphere with good food and good value. What are some of the tourism highlights around the area of Corsica you are from? The strengths of La Balagne and especially the region around Calvi are for me, accessibility from the airport which gives the possibility to be able to discover the area instantly, and the proximity of the sea, the mountains and the river that gives accessibility for multiple activities. There is the possibility of taking forest tours or visiting the villages that are pleasant walks, and the possibility of boat trips including those to the Scandola Nature Reserve directly departing from Calvi. Multiple sports are also offered thanks to the diverse landscapes, including paragliding, horseback riding, sailing, hiking, tree climbing....all possible around Calvi. Furthermore the historical side of the city is recognised as the birth house of Christopher Columbus, and the place where General Nelson lost his eye in the battle for the independence of Corsica against France. Finally for people who love food, four vineyards are located in the Calvi region. What are your favourite outdoor activities to indulge in on the island? I have three activities that I love to do on the island. 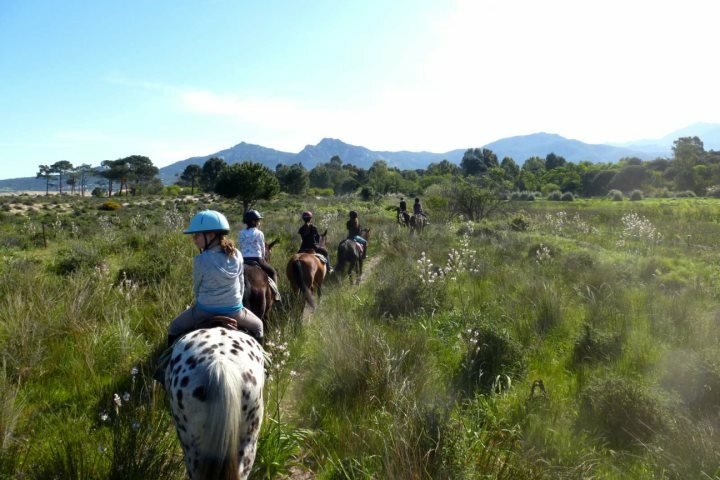 I have been fascinated since childhood by horse-riding; I love taking a stroll in the morning with my horse to explore the trails around Calvi when most people are still asleep, it allows me to enjoy nature when there is not the noise of the city. 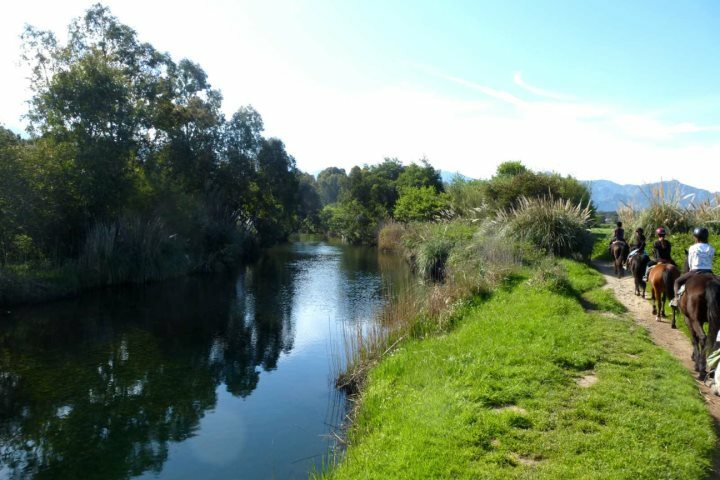 I also love to go to the river Fango which is 30 to 40 minutes from Calvi Galeria. This river is very nice with colourful rocks and crystal clear water, with small waterfalls that allow for natural massage in the water at comfortable temperatures. Finally I like to go to the valley of Asco, in Central Corsica, to enjoy the very impressive landscapes. Those are my three favourite activities to enjoy in summer. What is your favourite beach on the island? I love the beach of Saleccia which is a sandy beach lying at the heart of the Desert des Agriates between St Florent and Ile Rousse. This is one of the most beautiful beaches on the island with its turquoise water. The beach is very easily accessed by 4x4 or by a ferryboat called "Popeye" departing from St Florent. This beach is backed by scrubland which adds to its charm. In your opinion, which is the most interesting cultural festival held in Calvi? Corsican polyphonic singing in the cathedral of the upper town, or citadel as it is known. This event is highly anticipated by many visitors as it is a special moment, allowing you to listen to traditional Corsican songs reverberating around a church. It can be quite an emotional experience to share. Which three places do you think all tourists should try and visit on the island? 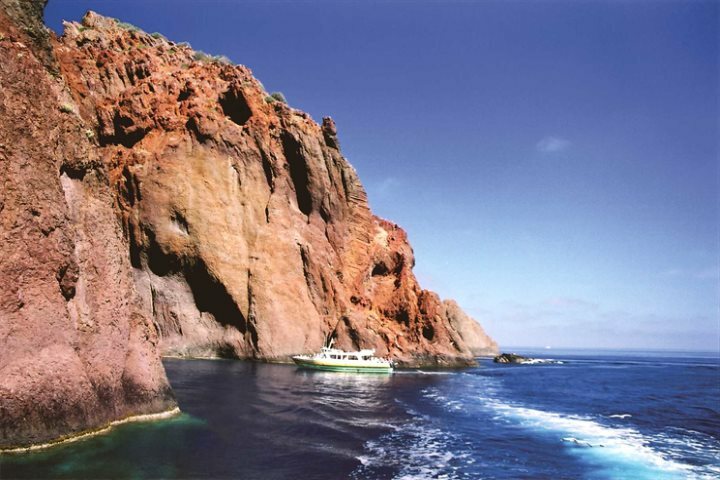 The three destinations that I would recommend starts with the Scandola Nature Reserve which is in a beautiful setting with its red rocks and turquoise water. 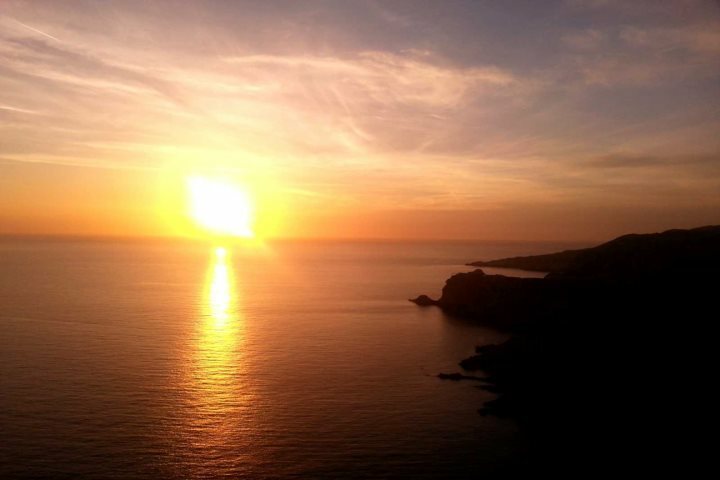 Plus the reserve is primarily a marine reserve which allows the chance to see a wide variety of Mediterranean fish and diverse flora because the reserve is protected from any human passage, only a footpath gives access to the village of Scandola, if not the only access is by sea. My second recommendation is Bonifacio and the Lavezzi Islands. The town clinging to the mountain shows the variety of landscapes of Corsica, while this region also offers various activities like boat rides to see the city from the sea, a moment which is very breath-taking. 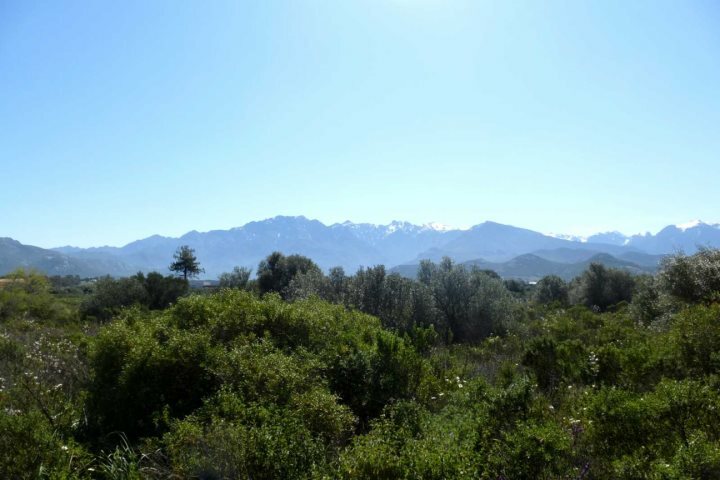 Finally, Calvi and the villages of La Balagne with the journey to Notre Dame de la Serra, which offers panoramic views of the Gulf of Calvi and the villages of La Balagne, hung on the mountainside. What is your favourite Corsican dish? In the summer I like to eat Migliacci, which is a salt cake topped with sheep or goat cheeses that is baked on a bed of leaves. It's a nice dish to eat hot or cold for picnics. Give us your top tips for holidaymakers visiting Corsica? Make sure you wear sun protection, especially on windy days when the heat of the day is disguised. You should also try and keep in the shade during the hottest hours of the day. Make sure you stay hydrated as well, especially if you’re out enjoying activities in the sun. I also recommend getting up early to enjoy a Corsican sunrise one day, especially over the villages of La Balagne. Fancy making the most of Emilie's tips and booking yourself a memorable holiday to Corsica? Check out our great range of accommodation located across the island.